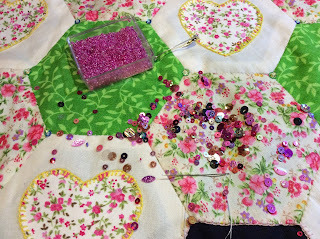 Have been having a lot of fun with patchwork and applique lately. It's somewhat heartwarming to rediscover the love of a craft. Gorgeous colours - will you be bringing this to Dukes Farm so we can see it in the flesh?